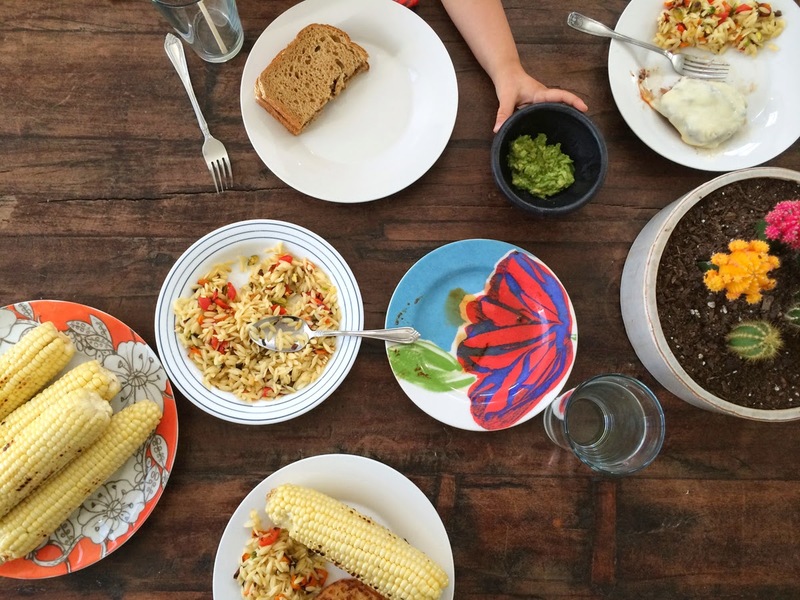 There's nothing like corn on the cob and a fresh summer salad during a hot day. This past Sunday's family dinner was extra tasty- "cowboy" burgers, Trader's Joe's Chili Lime Chicken burgers, summer orzo salad and corn on the cob. It was delicious, and I wanted to share the recipes for a couple of the items. They're easy to make with just a few ingredients. Preheat your oven to 425. Chop up your veggies and place them in a bowl. Add in splash of olive oil and salt and pepper. Mix and be sure the veggies are coated. Spread out on a baking sheet and roast in your oven for about 30-35 minutes. 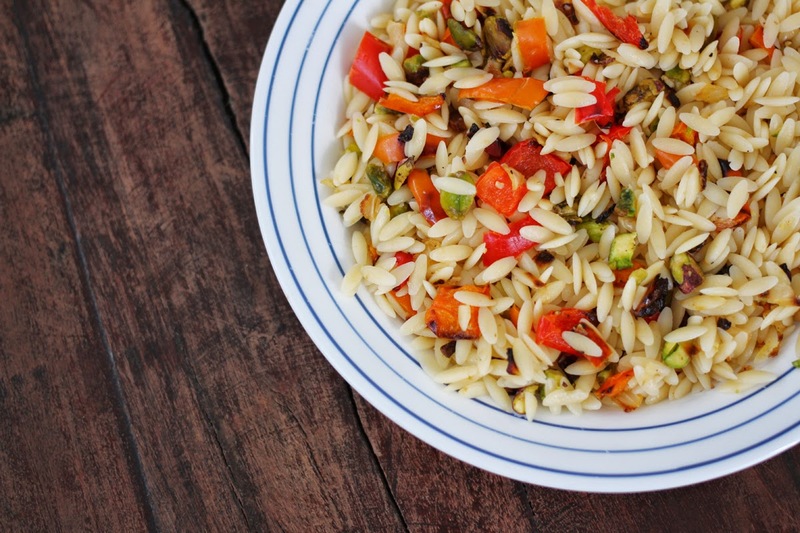 While the vegetables are roasting, cook your orzo on the stove top. Once it's done rinse with cool water and drain. Next, mix the cooled orzo and veggies in your serving bowl. Squeeze the juice of 1/2 a lemon all over to act as a dressing. Taste it- you may want to use the whole lemon but for me, half was perfect. Enjoy! *I almost feel silly posting this because it's so easy, but until recently I never thought to roast corn with coconut oil, so I thought I would share! In a bowl mix your melted coconut oil and chili powder. I used the smallest amount of the powder because Henry was going to be eating it too, but you could use anywhere from a dash to a couple of tablespoons. It's all up to your preference. Toss the corn in the mixture until each piece is coated. 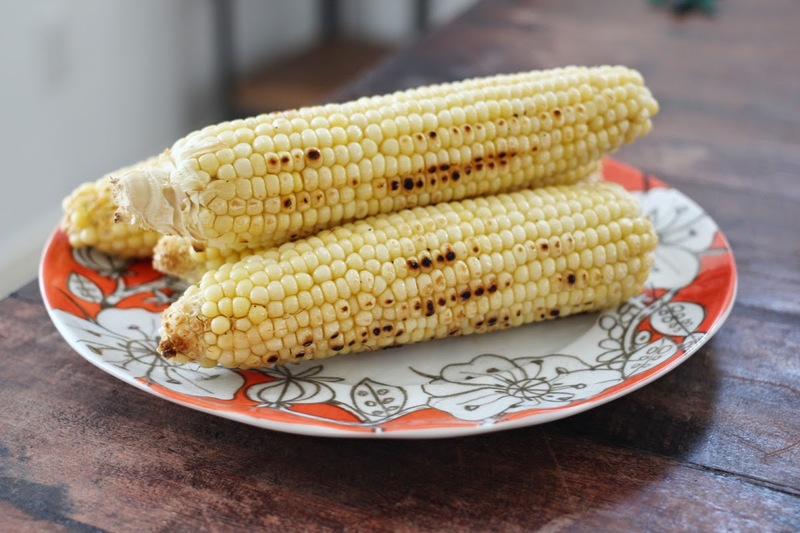 Transfer to your grill and cook until some of the kernels are just beginning to brown. Before serving squeeze the juice of one lime all over. 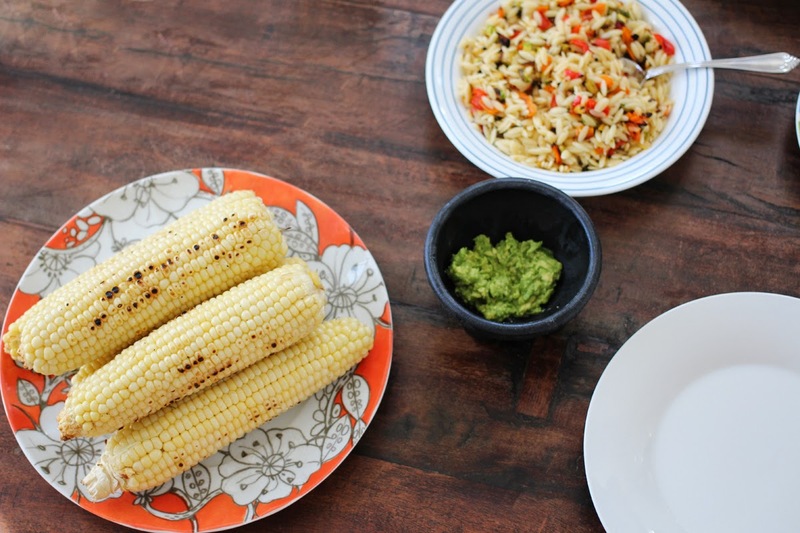 The chili and lime coconut roasted corn sounds like something my whole family would enjoy! I'll have to suggest it for one of our cookouts this summer! What a genius idea for the corn - sounds delicious! I have some orzo that has been in the cupboard forever. I'm going to make that pasta tomorrow! Sounds so yummy. I am super excited about that orzo recipe! Thank you! I have never had orzo. This looks delicious though!